Saving India’s Tigers is managed by a committed set of partners who are dedicated to preserving and improving the tiger habitats at present focussed on Central India. We are active across the full range of risks to habitat. “Networking is essential to deliver good conservation action and make effective use of limited human and financial resources. By supporting SLTP you will enable these courageous conservationists to stay true to their calling”. Saving India’s Tigers provides an umbrella organisation for our Partners and organises, amongst other things, an annual seminar to discuss issues and share best practice. Government officials attend our seminar to widen our effectiveness. The Corbett Foundation (TCF) primarily works with the communities living in and around the tiger reserves of Corbett (in Uttarakhand), Kanha and Kanha-Pench Corridor (in Madhya Pradesh), Bandhavgarh (in Madhya Pradesh) and Kaziranga (in Assam). See their YouTube video here. SWT aims to raise awareness within tiger range and non-tiger range countries of the issues and actions required to save the tiger and to engage with key stakeholders in tiger range countries, whose support will be critical if we are to succeed. To achieve our mission SWT aims to raise significant funds to support global, yet targeted, tiger conservation programmes throughout tiger range countries. We bring a fresh and creative perspective to traditional conservation issues where appropriate. Saving India’s Tigers is supported by a number of advisors who act in a non-executive capacity either formally or informally. These advisors come from all aspects of life and business and share the ambition we hold. Our partners have all signed up to our vision, values and principles which have remained unchanged since our formation in 2005. Benefits to people are local, national and global. Dr. R. S. Chundawat started his career as a conservation biologist more than thirty years ago with pioneering research on the ecology of snow leopard and its prey species in the Ladakh mountains. He is very closely involved with tiger conservation and conducted a ten-year highly acclaimed and unique tiger study in Panna National Park, a dry tropical forest of central India. He was also associated with Wildlife Conservation Society and Smithsonian during his work on tiger in Panna Tiger Reserve. He is the recipient of several awards including Esso’s ‘Honour for Tiger Conservation’ in 2001; the ‘Carl Zeiss Wildlife Conservation Award’ 2002 for excellence and the ‘Tiger Gold’ award in 2003 for outstanding scientific work with wild tigers. In 2003 BBC/Animal Planet produced an award winning wildlife documentary film on his work with the tigers in Panna − “Tigers of the Emerald Forest”. Dr. Deepak Apte is at present the Director of the Bombay Natural History Society. He has a doctorate degree in Marine Ecology. He also acquired post graduate certificates programme at AIT, Bangkok and Duke University, USA. For over 30 years he has been exploring marine life at various parts of Indian coast. Deepak has authored 4 books, 45 peer reviewed publications in the prestigious journals like Nature, Evolution, Systematic and Biodiversity and JMBA (UK) and several popular articles. 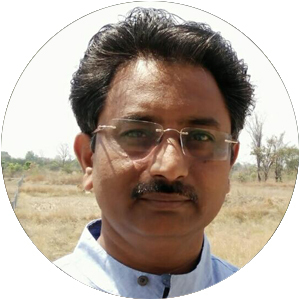 Deepak is the member of Maharashtra State Biodiversity Board Animal Committee and Executive Committee member of CBD NGO Alliance and UNDP-GOI East Godavari Programme. At present he is heading number of research and conservation programmes in Gujarat, Maharashtra, Lakshadweep and Andaman and Nicobar and central India. In 2008, Deepak received prestigious Whitley Award given by the Shears Foundation for his work of establishing community managed marine protected area and saving Giant Clams in Lakshadweep. Recently he received Whitley Continuation Award to do research and conservation of giant clams in Andaman and Nicobar Islands. 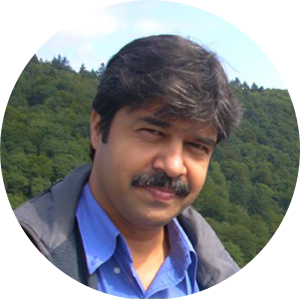 He is a Fellow of the Smithsonian Environmental Leadership Programme, LEAD-India, International Visitors Programme, USA and Duke University Marine Programme. Generating peoples support for tiger conservation through creating environmental awareness amongst local community in fringe villages of protected areas. Organize sustained and long-term training and capacity building programmes for students, teachers, youths, women & field staff of forest department and tour guides. Professor Claudio Sillero-Zubiri was born in Argentina and is a British zoologist. He is a Research Fellow at Oxford University’s WildCRU, the Wildlife Conservation Research Unit, and Lady Margaret Hall. He is the Chair of the IUCN/SSC Canid Specialist Group, and Head of Conservation of the Born Free Foundation. He is internationally recognized for his work with carnivore conservation, and in particular the endangered Ethiopian wolf (Canis simensis). 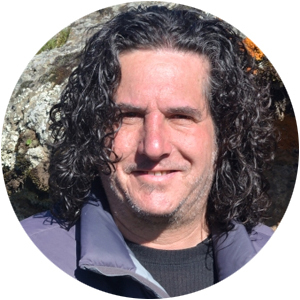 His work includes the conservation of endangered species, protected areas management, and wildlife surveys for 15 years spanning three African countries and Argentina. In 1998 he received the Whitley Award for Animal Conservation from the Royal Geographical Society for his work in Ethiopia. With a background in field biology and considerable experience as a wildlife volunteer, Gabriel joined Born Free fulltime in 2009 and is primarily responsible for conservation field projects in Asia, including those in Sri Lanka, Indonesia and India. 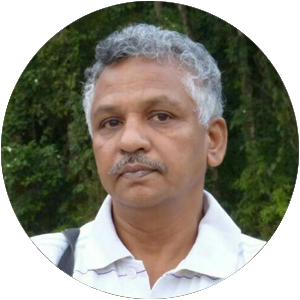 He acts as programmes manager for Satpuda Landscape Tiger Programme (SLTP). He also works on wildlife trade issues, in particular those relating to elephants and tigers and co-ordinates the ivory trade and elephant poaching website bloodyivory.org. Young wildlife enthusiast converted his passion for Tiger into career. After graduating in computer applications and working for IT industry for more than 2 years he shifted his career path in tiger conservation. He has worked with one of the SLTP partners for 2 years as Conservation Officer at Pench Tiger Reserve. Currently he pursuing his Master’s Degree in Ecology and Environment Studies from Nalanda University, India and also assists the SLTP network in coordination of the ground-level operations. 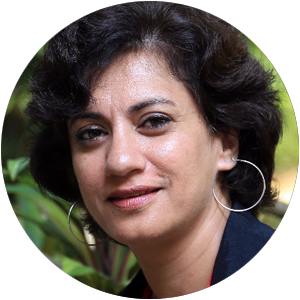 Debi Goenka is one of India’s well-known conservationists leading CAT. He has been working in the field of environmental protection in India since 1975, and has pioneered several successful campaigns to protect the natural environment. Some of the most notable success stories have been the protection of mangroves, the protection of the Borivali National Park, and the success in protecting over 3,500 square kilometers of forests in Vidarbha from denotification. He has also been involved in campaigns to prevent the denotification of the Melghat Tiger Sanctuary, the notification of Dahanu Taluka as an ecologically sensitive area, the protection of the coastal areas of Murud Janjira, the declaration of the Nandur – Madhameshwar bird sanctuary, as well as the campaign against Enron. 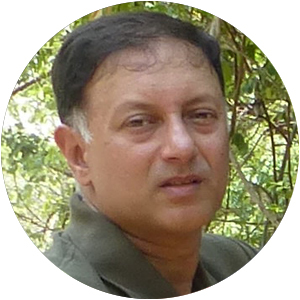 Backed with a Master’s in Zoology and a Post Graduate Diploma in Management, Kedar Gore has been actively engaged since 1997 in wildlife conservation and environmental protection work with reputed NGOs such as WWF-India and TERI. 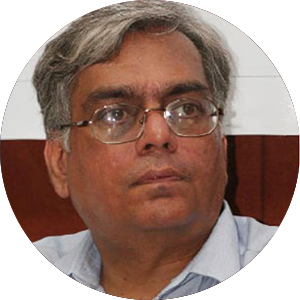 Kedar has been working as the Director of The Corbett Foundation since July 2009 and heads of all its divisions. 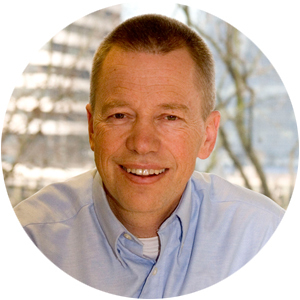 He has received the NUFFIC Fellowship of The Netherlands Government in 2009 and 2012, and is a Fellow of the International Visitor Leadership Program 2010 of the US Department of State. He has a Post Graduate Diploma in Conservation Biology from the Bombay Natural History Society, in addition to other professional courses from the Wildlife Institute of India, the Wageningen University, and the US Department of State. 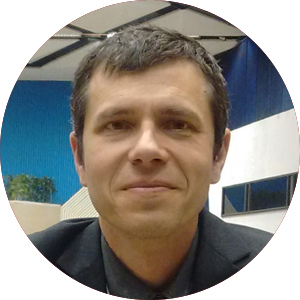 He has been serving as a Member of the IUCN Commission on Education and Communication since 2005. 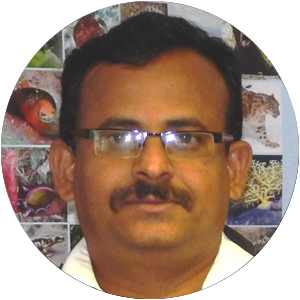 Dr. Nishikant Kale, is professor of Mechanical Engineering and a keen nature lover. 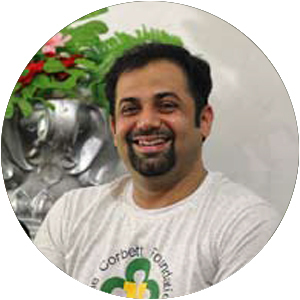 He is a social activist and a founder member of Nature Conservation society, Amravati, India (NCSA), working for the conservation of environment. He is also an active climate change leader. At NCSA he is working hard for 25 years to save the wildlife in Melghat tiger reserve. He motivates people to use locally available biofuels, solar energy, wind energy and biogas rather than overusing the conventional sources. The NCSA operates a mobile health unit to provide basic health services to the remote tribal villages situated deep inside various tiger reserves in central India. He has been associated with Born free foundation and SLTP since its inception. 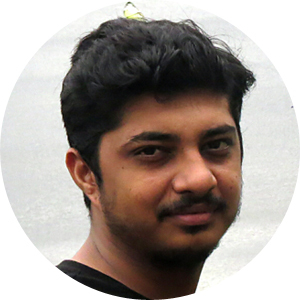 Kishor Rithe has done his Post Graduate Diploma in International Wildlife Conservation Practices from University of Oxford. He has been working as a conservation practitioner for more than 25 years in central India. His work with the local communities, academicians, field biologists, media, politicians and administrators for conservation of Satpuda Landscape is well recognised at national and international forum. He has served on many policy making bodies including the National Board for Wildlife (NBWL). 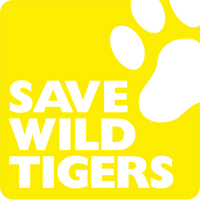 Simon Clinton – founder of Save Wild Tigers actually comes from a marketing and commercial background. Early in his career he ran marketing for a large multinational in the Australasia region based in Sydney and subsequently became a major player and worldwide board director of McCann – Erickson, one of the world’s largest advertising agency groups. Clinton went on to set his own consultancy and ad agency in 2003 based in the UK , The Clinton Partnership which he still runs today. Simon was brought up as a child in Malaysia. That provided the basis for his current passion for conservation and indeed wild tigers; Malaysia’s national symbol being the Malayan tiger. Co-Founder, Trustee and Secretary of TRACT, Poonam quit her interior designing company and turned her passion for wildlife into full time career. Over the last 2 decades, she has worked extensively for voluntary resettlement of locals from the reserves, towards mitigating human – tiger conflict and creating a social fence by involving local communities in conservation. She is a trainer for wildlife conservation, is a member of the Maharashtra State Board for Wildlife and the Honorary Wildlife Warden of Chandrapur District. Her conservation work has been documented in various documentaries and she has also been honoured with the Carl Zeiss, Roll of Honour. Co-Founder, Trustee and President of Tiger Research and Conservation Trust, Harshawardhan has devoted more than 20 years to wildlife conservation. 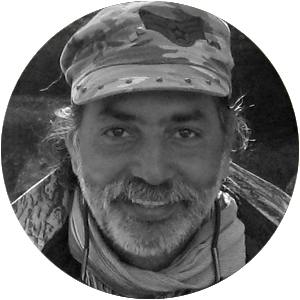 Trained for Conservation Conflict Resolution and as past member, Maharashtra State Board for Wildlife, he has spearheaded the private conservancy concept and joint patrols for wildlife, taking forward his work on protecting tigers beyond boundaries. 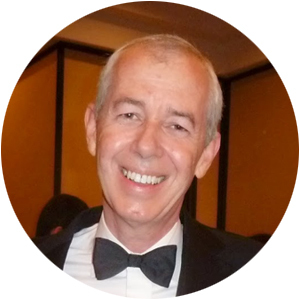 Tony spent some 30+ years with BP in a variety of technical, commercial and executive oil management roles in Europe, Asia, Australasia, West Africa, South America and the US leaving as Commercial Director with responsibility for business development across the Middle East. Tony left BP in 2006 to pursue a number of projects. Tony is Founder of Oil and Gas London, Chairman of Sub Salt Solutions – a seismic company, co-founder of EPEX – a training company and sits on a few other boards. Tony has had a lifelong interest in wildlife having been brought up in East Africa. Tony is married with three children.